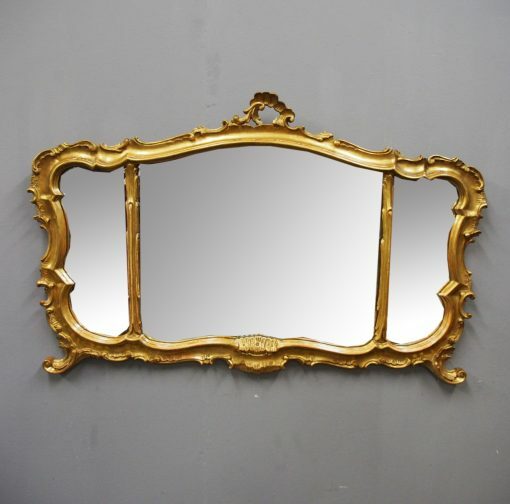 Circa 1900, George III style carved giltwood overmantel mirror. In the Rococo style with carved and gilded pediment, C scrolls to the edges and a single mirror plate which is divided into a triptych effect by gilded, foliate designs. To the base are carved and scrolling cabriole feet, and the gilding is faded, with clean mirror plate.